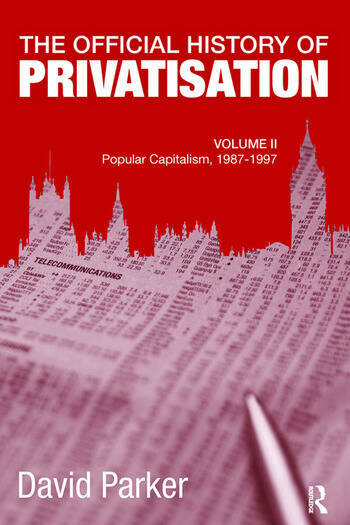 This is Volume II of Professor Parker's authoritative Official History of Privatisation, covering the period from the re-election of Margaret Thatcher in 1987 to the election of Tony Blair in 1997. Volume II considers in detail several of the major privatisations, including those of airports, steel, water, electricity, coal and the railways, as well as a number of smaller ones. Each privatisation involved major challenges in terms of industrial restructuring, organising successful sales and, in a number of cases, establishing effective regulatory regimes. The policy evolved and new methods of selling and regulating were put in place that enabled further disposals to occur. Monolithic nationalised industries with their emphasis on the benefits of economies of scale, vertical integration and rationalisation, were replaced by industrial structures rooted in the importance of commercial management, risk taking and competition. In government departments and parts of the National Health Service, direct employees were replaced by private contractors, and private investment became a characteristic of public infrastructure in the form of PFI/PPP schemes. This study draws heavily on the official records of the British government, to which the author was given full access and on interviews with the leading figures involved in each of the privatisations, including ex-ministers, civil servants, business and City figures, as well as academics that have studied the subject. This book will of great interest to students of privatisation, British political history and of business and economics in general. David Parker is Emeritus Professor at the School of Management, Cranfield University, UK and was formerly Research Professor in Privatisation and Regulation. He has researched privatisation for over 25 years and has acted as a consultant on privatisation internationally. Previous publications include the International Handbook on Privatization (with D.Saal), published in 2003 and Volume I of The Official History of Privatisation (Routledge 2009).